Kaylynn Albrecht is WrestlingTexas Wrestler of the Week. 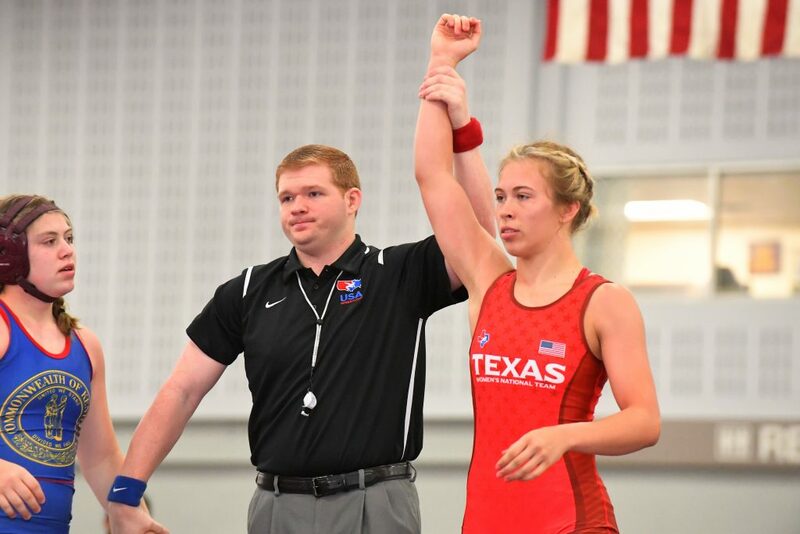 Albrecht from Bryon Nelson High School was part of the National Champion Womens Team Texas last week in Tulsa Oklahoma where she went 9-0 through the 2 day event with 5 falls and 4 tech falls, all 9 matches never going to the 2nd period. Albrecht only gave up 3 points in the 9 matches as well.